Held annually, the Chair Orientation is geared towards new and seasoned Chairs, and covers topics such as: how to best transition from the focused, self-driven life of a faculty member to academic leadership; the first days/months/year of your job as department chair; self-preservation strategies; best practices in hiring, dual career hiring, diversity hiring and reaction to offers; providing and receiving faculty feedback, annual reviews, setting up mentoring, post-tenure reviews, the role of the chair in the evaluation process, and preemptive vs. reactive retention. The next orientation will be offered in the Fall 2018. The Office of Sponsored Programs assists faculty in their pursuit of research funding at government agencies, foundations and other sources. Resources are listed on their website. On November 2, 2017, the OFDD sponsored a session on how to run an effective committee meetings featuring the following panelists: Chris Barrett, Deputy Dean and Dean of Academic Affairs, SC Johnson College of Business; Barbara Knuth, Senior Vice Provost and Dean of the Graduate School; and Charles Van Loan, Dean of Faculty. Notes from the session, including tips for committee chairs, are available here. 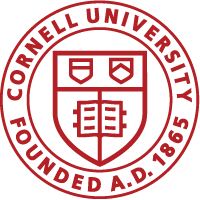 For more information, contact OFDD@cornell.edu or 607-255-6867.